Right now, I’m working on finishing my book – the deadline is coming up and that’s all I’m doing right now. I know that around me, fashion week is happening, projects are piling up at the studio and it’s really time that I got serious about Pilates, but with only twenty days left, the finish line, everything else is kind of on the back burner. I miss everything. The blog, responding to your comments, lunch with friends, going shopping – anything I do, I keep thinking I should just be sitting at my laptop. It’s kind of like studying for exams. And that’s probably why I never finished my Master’s. Long term projects are torture to me. I prefer things that are quick, fluid, and imperfect. And working on a book is the opposite of that. So this is a time where I’m pushing my own boundaries, and I’m doing something I never thought I was capable of. It’s also a time where my team has had to push itself too, and do things without me sometimes, so we’ve all learned a lot these past few months. Times like these are interesting, especially for me, since I’ve always given 200% to this blog. I always wondered what I would do if one day something else took up all my time (a book, or…a baby, for example)(no, I’m not pregnant, it’s just an example because I think it’s a question a lot of women ask themselves ;) and here I’m able to see. I’m learning. You make things work. You do things differently. You learn, you adapt. You manage, you get organized. It’s a good life lesson. And it’s a frustrating time too – anyone who’s had to study for major exams knows what I mean. I love every minute spent on this book, but there are also times when I want to say ok enouuuugggh! I’m going for a walk!!! (And sometimes, I promise, I really do go). But frustration, as we all know, is a major source of inspiration. I feel super inspired. I want fashion, springtime, travel, and something new. I’m lucky that I have to finish my book while the weather is so terrible. The days and days of rain, snow, and freezing weather (And it’s really freezing. The other day, it was 3 degrees Fahrenheit) – make it much easier. I stay at home working with a mug of tea. And I make a list of all the things I’ll do once I’ve submitted all my papers. – Go to Pilates every other day, hoping to become a beach babe. – Get ready for my birthday!!! This year, just like Drew Barrymore and two years later, Kate Moss (yeah, Im the girl woman who’s putting herself in the cool girl women group, I’m going to turn *$#@ 40!!! What would you do if you were me? – Buy myself a ton of clothes, like, really change my style. Without changing myself, of course. – Take an entire day to answer emails. – Watch the new season of House of Cards in one weekend. And that’s about it – just a bunch of unnecessary stuff, in fact. There’s really nothing like futility. That’s why I like doing this blog so much. Oh yeah – one last thing on my list. I want to thank you for sticking with me through all these changes. The last few months have been hectic for me and my team, but we love what we do and and sharing it with you. And that’s why we’re trying to come up with as many opportunities to meet you as possible (we do this a lot through the newsletter) and it’s great every time. With the book tour, there will be even more chances to meet you all!!! I can’t wait to tell you more about that. I send you big hugs, and oh, by the way – my team and I are leaving for Paris this week (even though I’ll probably be stuck in my room finishing the book) and we’ve rented an apartment. I think it will be pretty fun, so if you want to follow us, check out @garancedore and @studiodore). So this week we’ll be covering Fashion Week. And you’ll also meet Rados, our new style icon. You’re going to love her and there will be lots of inspiration for spring, because I’m sure spring will eventually come one day. PS : Vive la futilité et le cote #jeseraitoujoursuneetudiante ça conserve c’est sur…. I miss U… it’s so good to read you lines! Merci d’avoir pris le temps de nous écrire et de nous rassurer, Garance ! Bon courage pour votre livre que je ne manquerai pas d’acheter, assurément. La vie est ainsi faite.Joie, frustration, questionnement, craintes, passion, changement de route, aller retours,mise au lendemain, bordel, bordel joyeux, amour, désamour, voyages, craintes (je l’ai déjà dit mais parfois y’en a pas mal)mais c’est comme ça qu’on se sent vivante, putain vivante! Go ahead with your book, Costa Rica is waiting for you, best of luck!!! Need to read your book so badly!!! Yes, life is unpredictable… and with a baby the changes are big! Gongratulation for your book, your 40s, and for to love what you do, you have plenty of good things in life! I wish you the best! Hej, what a whirlwind of a beginning of the year! 40h birthday–big event, I did it last year. Actually had so many ideas what to do (take all the best friends and go to a beach in Italy or in a house in the mountains for the occasion) that I could never decide … but I still think that it’s a great idea to take all the most important people and get together for a weekend somewhere – have fun, dance to the favourite music of all your years together, make a big bonfire, drink a lot of excellent wine and champagne.. somthing like that? Life isn’t fun if there’s not change and frustration. Can’t wait to read your book Garance! Garance! Tout plein de courage! Tout plein d’onde positives! Tu m’inspires toujours autant, tout les jours. It’s exciting to have changes from time to time. Oh my, je comprends tout à fait : j’ai fini ma maîtrise d’histoire de l’art et ça a été chaud. Parce que justement, c’est quasi impossible de faire du parfait, et comme je suis perfectionniste eh ben ça m’a tuée ^^ Les deadlines, c’est compliqué. Couraaaaaaaaaaage Garance ! Merci de prendre le temps de nous écrire un petit mot malgré tout le boulot que tu as à faire! BON COURAGE pour la fin du livre et j’espère que tu vas pouvoir profiter un peu de Paris! C’est bon de lire que la vie est belle pour toi, tu le mérites! Plein d’énergie et de bonnes ondes pour toi et ton équipe! G U RULE! GO BEACH BABE! I have about two and a half years before the big 40. Like the idea of saying FEMMES not FILLES in the blog posts. Your posts seem so personal and yet they aren’t that personal really, or rather, they are very light, not serious. A post about having children or not would be so interesting, truly personal and serious, but perhaps it is something you want to keep private. Still having children or not is one of the only aspects of being feminine that is not covered on this blog. I have one child and I wonder how many of your blog readers have children. Oh I’m so looking forward to reading your book!!!!! I send you lots of positive energy to go through these days, I’m sure everything will be just perfect! (But not boring perfect, just the right amount of perfect). I’ll follow along in instagram to see that apartment and all the PFW looks! Garaaaance! C’est super d’avoir de tes nouvelles. Je t’envoie plein d’ondes positives pour terminer l’écriture de ton bouquin, que j’ai hâte de lire! Et ce post sur la Tyrannie de cool, je ne peux attendre. Bonne semaine a Paris a toute l’équipe! Toutes mes félicitations pour l’aboutissement prochain de votre livre. Il semble que ce soit la progression logique de votre blog au regard de sa qualité mais également en raison du lectorat que vous avez sû fidéliser. Puisque vous demandez conseil à propos de votre prochain anniversaire, je vous donne le mien : célébrez-le avec une jolie fête et entourez-vous des gens que vous aimez, c’est la plus belle parure pour les grandes occasions. Et pour vous rassurer – en connaissance de cause, je glisse inexorablement vers mes 50 ans : vous serez toujours au seuil de votre vie future, c’est une preuve de jeunesse, non ? Je vous embrasse très fort, comme une amie à qui on rend visite le plus souvent possible, pour le plaisir de sa compagnie. Go, Garance, Go! Can’t wait to hold your books in my hands. And please can you tell us, from where is that notebook/journal in the upper lefthand corner of the photo? Thank you! I seriously can’t wait for your book to come out! Même si je lis avec grand plaisir tous les autres posts (que je trouve tous super intéressants), c’est toujours un plaisir de “te retrouver”! Courage pour la dernière ligne droite, et bon Paris à tout le studio ! I read your blog with a big smile on my face, and that is not a frequent happening in my life at the moment… Stumbled across you from another blog, which was referring to your fashion paintings. I immediately fell in love with the “umbrella girl”. Retailers are few in Sweden, and postage fees are expensive, plus tax and so on. Was lucky enough to get my hands on your 2015 calendar from a Swedish internet store :) Best of luck finishing your book! The tyranny of coolness sounds like the best post ever! If anyone could stop the “it’s so easy I didn’t try at all” madness, it would be you, Garance. As someone who grew up oppressed by the foggy West Coast veneer of indifference and who just loves trying–trying is fun, trying is creative, trying is an affirmation of life!–I really cannot wait for the Blair Waldorf striver aesthetic to return. It doesn’t even have to have headbands on it, it just needs to own the fact that fashion frequently takes effort and style always requires thought–acknowledged or not. Ah les quarante ans ce fut la fête à la tequila en dansant toute la nuit !Fais un tour des îles grecques en bateau ou grimpe au Machu Pichu, ce sont de très belles années à venir, ne crains rien, il y a encore tant à découvrir ! I’ll be turning 40 this May, too, and I look at girls (ok, women) like you Garance and Caroline de Maigret, and feel it’s going to be just fine. So you are definitely in MY “cool girls’ group”. Looking forward to reading your book, bon courage! Good luck with the book ! Tiens bon, très vite tu connaitras le plaisir de te réveiller pour la première fois depuis longtemps en pouvant DECIDER quoi faire de ta journée (dans ta très longue liste bien sûr…), sourire sur le visage assuré encore au chaud sous la couette! Congratulations Garance! I am so excited for this book! What a project. I am freezing here and funny enough I have a beach boys cd in my car reminding me of Summer an warmer days. As much as I would like to be a city girl I am not. I am a beach girl. But I will roundly remember the two years I spent a lot of time in the city trying to live it. I am not yet 40 but it’s not far off and I am excited. For me now the focus is the goals I want for that 40th. To have my closet figured out’ what works and what doesn’t, who I am in my style and just do that and enjoy it. To be more organized and have less stuff. I want important and fun things to surround me, I could take a room full of books but not just stuff and while I am at it edit some of the kids stuff haha! I am prepping to begin the next chapter of the women I want to be and by 40 I don’t want to be wondering as much as being and doing. And find the next career, job, charity or whatever it is I will be involved with at this point. My Mom said she loved 40 and it brought her great things towards 50 which she loved more because she had so much figured out then. Less guessing more living. And lastly get to Paris. Not for 40 but for whatever, I’ve alsways wanted to go to France and I feel connected somehow so I need to go. Enjoy Paris! Have fun for your birthday and that’s for all the inspriation! Don’t worry at all about turning 40…you will love it! To put it in perspective…my son will be 40 the end of March. Ha! Imagine how that makes me feel! I will be (gasp!) 64 in May…but in my head I am just a teenager. J’ai hâte de lire ce livre ! Je le mets dans ma wish-list, peut-on l’ajouter dans une pré-liste d’envie sur Amazon? Courage ! Je vois bien ce que c’est, quand j’ai repris un Master, ça a été l’horreur. Année 1, année 2, je n’en voyais pas le bout ! En plus, en deuxième année, j’ai détesté le sujet de mon mémoire… A la fin, j’ai appelé une copine à la rescousse car quand j’ai envoyé mon introduction à ma directrice elle a failli me demander ce que je fumais… Je partais en envolées lyriques ! Aaah je te comprend TELLEMENT vu que je suis en train (hm … ou plutôt je n’arrive pas à me lancer) de rédiger mon Mémoire ! Je suis étudiante et là effectivement j’ai l’impression qu’on a un peu la même vie qui se partage entre écrire/dormir/désespérer, désolée de confirmer ton impression de vie d’étudiante ;) ! Bise à toi Garance ! Bonjour Garance et bonjour à toute l’équipe ! J’aime beaucoup ce blog et je m’y rends régulièrement, pourtant c’est la première fois que je poste un commentaire et c’est malheureusement pour une petite chose qui me gêne et que je rencontre souvent : les fautes d’orthographe et de relecture dans les articles. Rien que dans le premier paragraphe j’en trouve deux : il manque le verbe de la première phrase “je en train de finir mon livre” et petite faute d’orthographe sur “vingts jours” ou il n’y a normalement pas de “s” à “vingt”. Je ne veux pas faire la rabat-joie conservatrice mais je trouve que c’est dommage pour un blog de cette qualité de rencontrer ce genre de fautes, peut-être faut-il investir pour accueillir un nouveau membre dans l’équipe qui s’occupe de la relecture des articles ? Sinon, continuez, le blog est vraiment chouette ! Bonjour, beautiful Garance! I’m turning 40 this year, too. In April, in fact. I want to go to the South of France as a gift to myself. Can you advise me on the prettiest, not-be -missed town, please? I’m on a budget, so I can only pick one destination (although I’m also hitting Paris). BTW, I LOVE your blog! Yep, I do the same! I always have some quick summaries of future posts on my iPhone. That;s because I always get ideas in the most inappropriate places – the shower, in traffic, walking to work… never when I’m in front of the computer – NEVER! Vive les “Quadragénaires” bien souvent plus belles qu’à 20 ans ! Courage pour terminer le livre, mais en même temps cela doit être très excitant…Je l’attends avec impatience ! Et Bravo à la team qui assure parfaitement ! I totally know what you meant about working on long-term projects. They drive me crazy! You feel like you can never leave…the work is always there to do. Hâte de lire ton bouquin (please please please, passe par Bruxelles pour ta tournée!!! ), tes futurs posts et le debrief de la FW de Paris! Love this post Garance! Keep up the good work on your book. I can’t wait to read it. Yours is the only blog I follow regularly and I’ve been following for a good few years now. I’m a 35 year old from New Zealand. You are a real inspiration when it comes to fashion, creativity, finding yourself, following your true passions etc. Any chance you’ll be book touring all the way to New Zealand? I know – It’s pretty far away from New York! I’m totally putting myself in the cool women’s group and welcome you to 40 (almost). Congrats on nearing the end of your book. We can’t wait to read it and celebrate you! Let us know when you do the House of Cards marathon, I’m still working through season 2! au vu de ce post, tu ne liras pas ce comment ! mais tes équipes le feront et pourrons donc te dire que je m’ajoute à la longue litanie des éloges et TE remercie pour ton blog. Ca doit être tellement bizarre de toucher les gens comme ça…tiens une idée de post qui en intéressera plus d’un : comment ne pas prendre la grosse tête quand ce que l’on fait/l’on est touche les gens et rend leur vie différente (si si différente, combien de fois lire un de tes post m’a aisé, interpellé, fait réfléchir..). C’est en plus une question en toute honnêteté car moi si cela m’arrivait je deviendrais folle je pense ! Bravo to have so much of projects!! It’s a very difficult thing to have a lot of project like that, and make them becoming true. A question, for your book, you write first in English or French? Your inspiration came in French or English? Other question, in a completely different topic, have you and your studio made the last Lancôme adverts. It looks like your advert for L’Oreal. If it’s the case they are cool and chic and I’m happy to have recognize your work. Haha on dirait moi en période de révisions :) Mais en même temps, là c’est pour autre chose que des exams, un livre c’est juste tellement fantastique ! Une fois fini, tu ne te rappelleras même plus du temps fou passé à l’écrire ! Vraiment hâte de le lire en tout cas !! Et surtout, courage ! avec le printemps, les fleurs, à Paris…, courage ;-) ! Je me suis toujours posée plein de questions sur mon avenir. C’est certainement lié au fait que j’ai pas forcément fait les études que j’aurais voulu faire, par manque de cran. Aujourd’hui je suis en M1, dans l’absolu j’aime ce que je fais mais tous les jours, en allant à l’école, je me demande ce que je fous là. Je m’ennui, mais je m’ennui… J’apprends plus. C’est triste à ce niveau d’études. Et le pire, c’est que j’ai tellement de boulot que j’ai du mal à faire autre chose. Alors quand je lis des posts comme celui-ci, je me sens plus sereine. Je me dis que je suis encore hyper jeune, qu’il me reste tellement d’années pour faire des millions de trucs, pour trouver ma voie, peut être même faire comme toi, créer mon propre boulot. Je me dis que c’est pas parce que je m’ennui maintenant, entourée d’une bande de guignols, que ça restera comme ça à jamais. Et voir où tu en es aujourd’hui, ce qu’est devenu le blog, toutes ces choses de dingues qui t’arrivent ben ça me redonne un peu la pêche, ça me donne surtout envie de me bouger, d’en finir avec ces études et de commencer à faire ce que je veux, ce que j’ai envie. C’est vraiment bien ce que tu fais Garance, tu peux en être fière je crois. Perso, je suis étudiante en droit et ce type de dead lines ont tendance à durer 2 mois entiers donc je sais de quoi tu parles. On met un peu sa vie entre parenthèses pour mieux la reprendre après. Je trouve que ça permet de prendre du recul et de sortir des petits tracas quotidiens de la vie et de faire le tri entre ce qui est essentiel (oui les futilités sont essentielles) et ce qui est inutile et qui pollue notre petite to do list mentale. C’est un peu la zénitude en fait (on tente de se rassurer comme on peut). I turned $%@ 40 three weeks ago. I opted for friends, craft beer and amazing food and not think much about it. It’s not an age, it’s a process ;) Good luck and welcome to the club (soon). Looking forward to reading your book. Declaring truce with discipline ain’t easy. Je suis littéralement amoureuse de ton écriture, de ta façon de voir et de raconter les choses. C’est pour quand le livre ? J’ai hate hate hate de le lire. 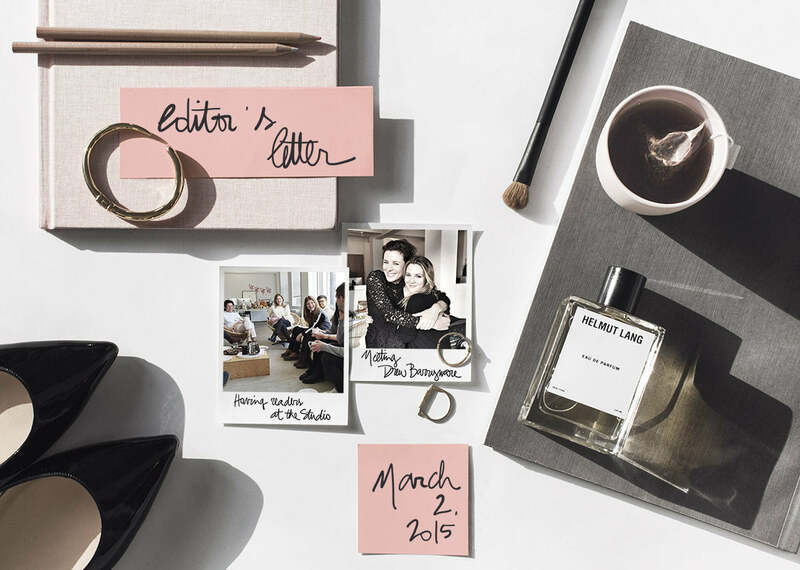 Garance- I’ve been reading your blog since 2008 and it’s been a joy to see its evolution over the past 7 years! Though I have never met you, I have seen you grow and change and blossom as well. I can’t wait to read your book and see what’s next! Love reading your blog Garance. It’s uplifting and fun. Hang in there! Can’t wait to read your book and always enjoy your posts. Allez si ça c’est “futile”, ce qui ne l’est pas doit être bien bien chiant. S’il y a bien une chose parmi d’autres pour laquelle tu es douée c’est de réussir à décrire des moments de vie et des sensations que je ressens aussi en tant que femme et blogueuse. Jamais ta notoriété ne t’a éloignée. Au contraire, à chaque fois que je te lis, je me dis “Tiens, pareil pour moi”. Et tout cela, sans aucune supériorité de ta part. Dans cet article, je me retrouve à fond dans le fait que lorsque tu te consacres pleinement à un job (ton livre ici), tes envies de “que vais-je faire quand j’aurai fini ?” s’accumulent. Je fais des listes, je rêvasse et m’éclate encore plus quand j’ai terminé la période en question ! Merci Garance.